Kastking Royale Legend Review | Best Baitcasting Reel? Kastking are fast becoming a name in fishing in the USA and Canada and incresingly in the UK and Europe. 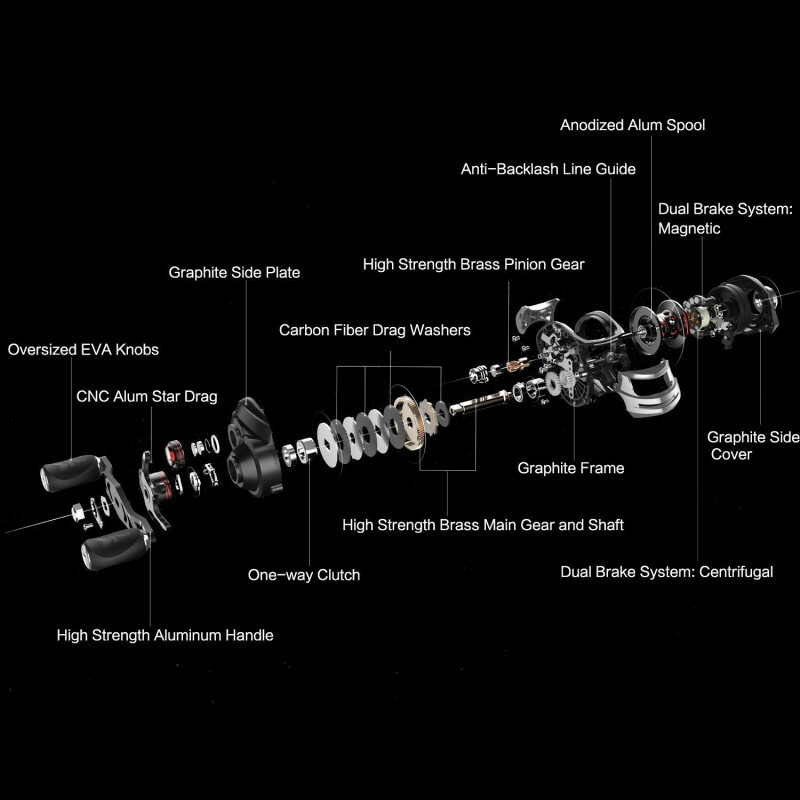 They are creating reels with the functionality you need with a high level of quality you expect in reels double the price. The Royal is no exception! This is proving itself as an excellent lure fishing reel for bass and many other applications. 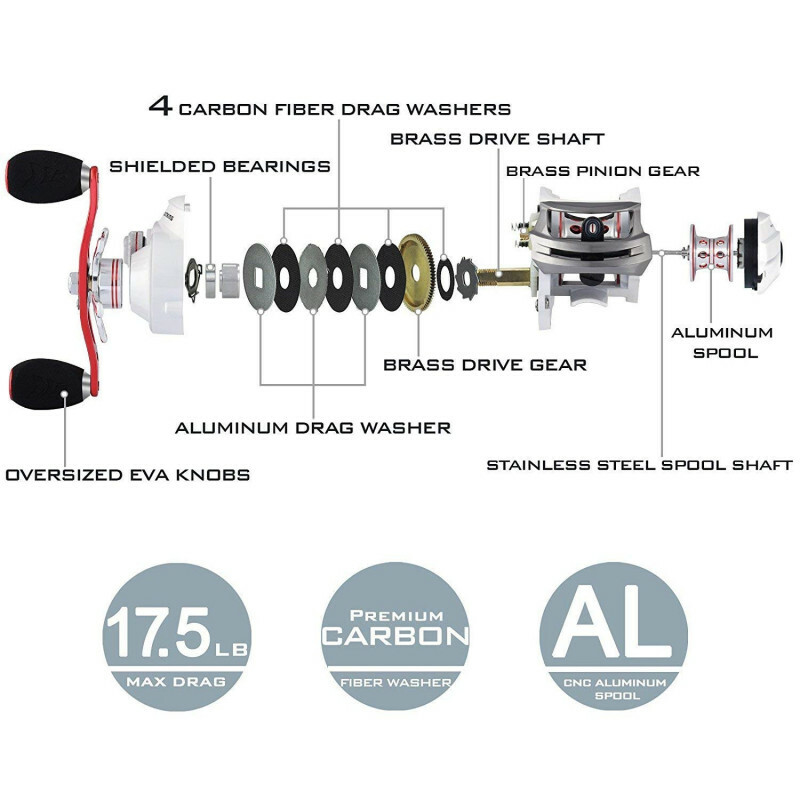 Micro mesh precision gears and 11+1 bearings mean this reel is SMOOTH! 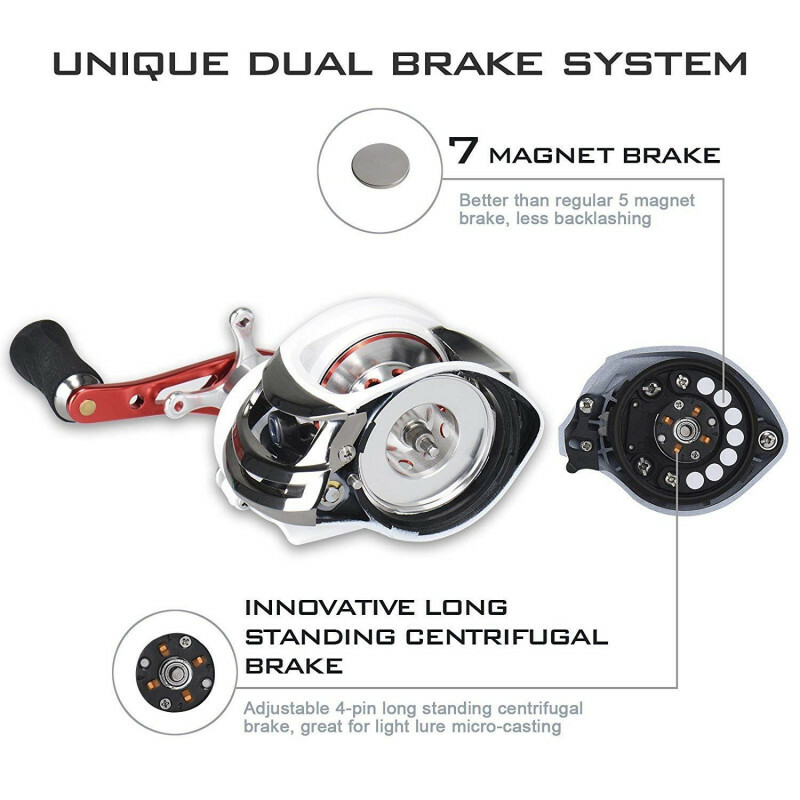 7 Magnetic disks and 4 pins (Dual Magnetic and centrifugal) form a brake that is tunable for your lure and experience. 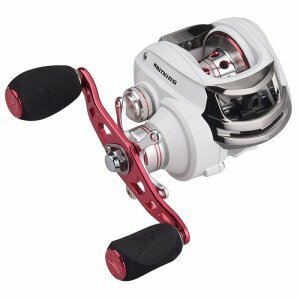 I go fishing a few times a week, and was looking for another reel to have another baitcaster setup. 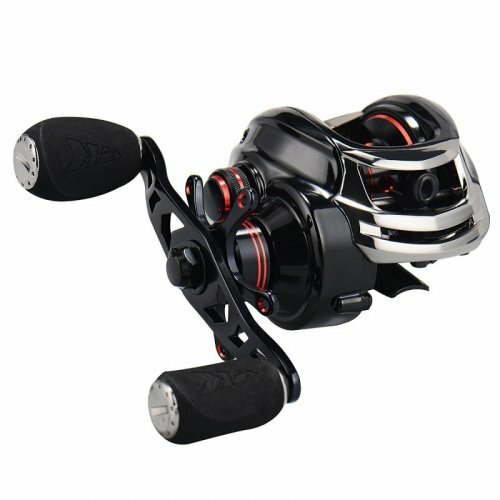 I currently have 2 Abu Garcia BlackMax 6.4:1 reels and some spinning setups, but was looking at trying something different. Between the high rating and the price, I thought I'd give this a try. The KastKing was not only $20+ cheaper, but also outperforms the Abu Garcias on every level - Less backlashes, smoother reeling, further casting distances. I'm just so happy with this reel, and can't wait to try out some of the other ones and ratios from KastKing. Disclaimer, This is my first bait caster! Right out of the box it feels light and well put together. All the controls work smoothly and quitely. Watched a bunch of videos on set up and getting it dialed in. Spoiled it up with 20lbs test Spider Wire braid and headed for the lake. Using a mid depth crank bait the reel cast very easy and the retrieve was nice and fast. Got over confident and dialed some of the brake and spool tension back and got a little backlash. I was able to get that one out and continue fishing, then it happened. Backlash from hell! Note to beginners, leave the brakes and tension high till you are really comfortable. Will definitely look at more of their products. Update! Day two, set brakes higher and had great luck!